When we arrived in Darwin we had one day to do something epic and this is what we found! 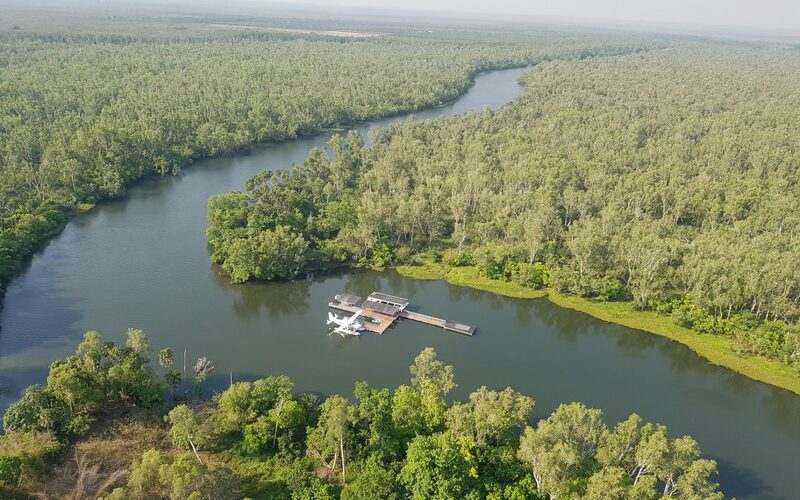 Outback Floatplane Adventures ticked all of the adventure boxes – a seaplane out to Sweets Lagoon, fresh barra BBQ, croc spotting from the fan boat, fishing, a doorless chopper flight with Matt Wright, getting in the water for a swim and flying through the lagoon at high speed. YES, we loved it!! This is one of those ‘pinch yourself’ moments from start to finish. We were constantly looked after by the awesome staff, and we had smiles ear to ear from the entire experience. To this day, we are still telling everyone we know about just how great this was and that should put it on the list when visiting the Northern Territory! Thanks, guys for showing us a #RADTIME!! #radtimes at the Frankland Islands – Take 2!